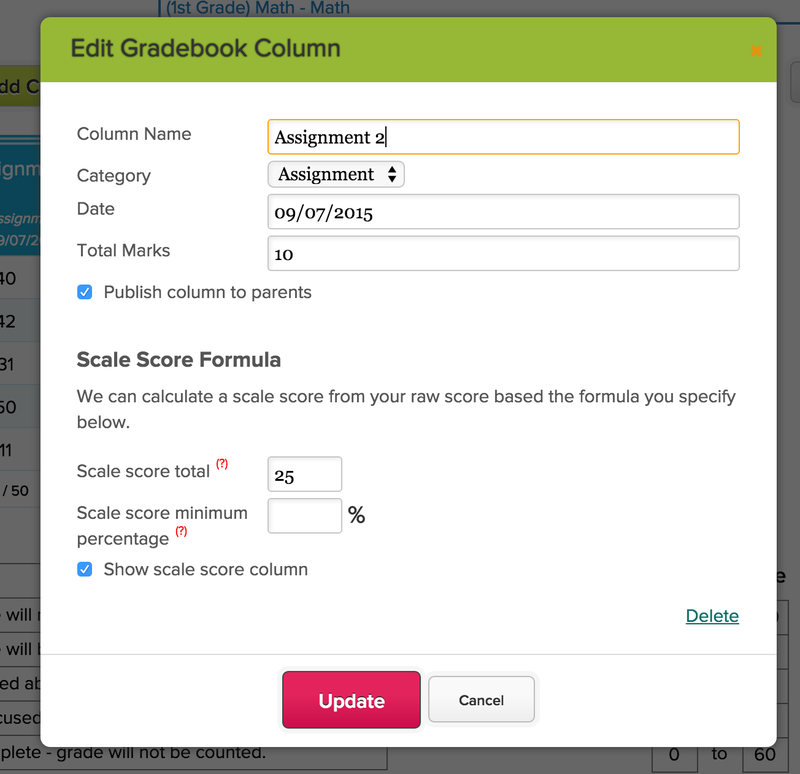 In this article, we’ll discuss in detail on how the QuickSchools Gradebook calculates a formula or final grade. Notice that you can select multiple categories for each weight factor. And if you need more categories, you’ll need to speak to your administrator to either (1) add the new categories, or (2) give you access to add your own categories. Each weight factor will be converted into the percentage score using the default weighting behaviour discussed above. You want to calculate a portion of your grade, say for “Formative” vs “Summative”. 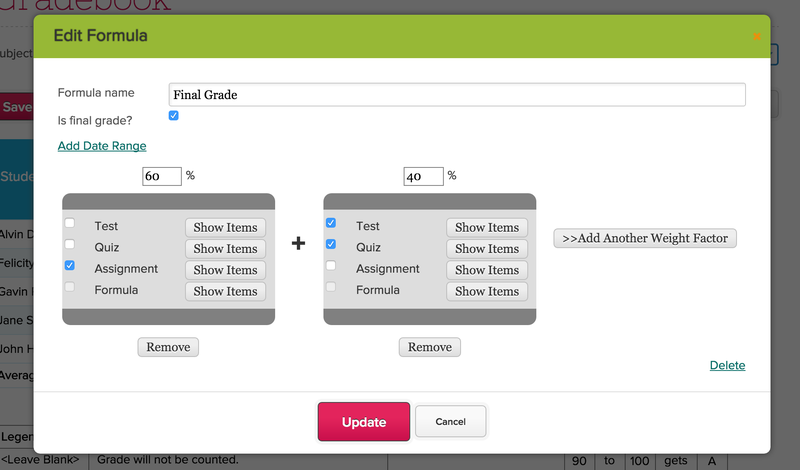 Regardless of the situation, note that you can only designate ONE formula as the final grade. This is the grade that will be transferred to the Report Cards module when the marking period is active. Once the report cards are locked, you’re free to change the formulas again, and perhaps designate a different formula as the final grade for the next marking period. 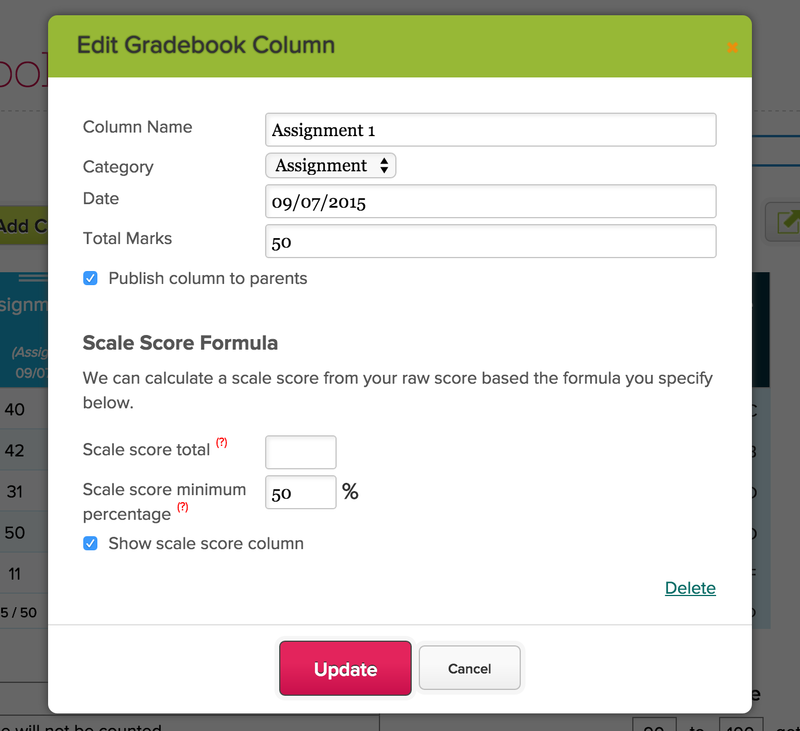 Just note that if you do happen to select multiple formulas as “is final grade”, the actual grade that gets transferred to the report cards may be unpredictable. 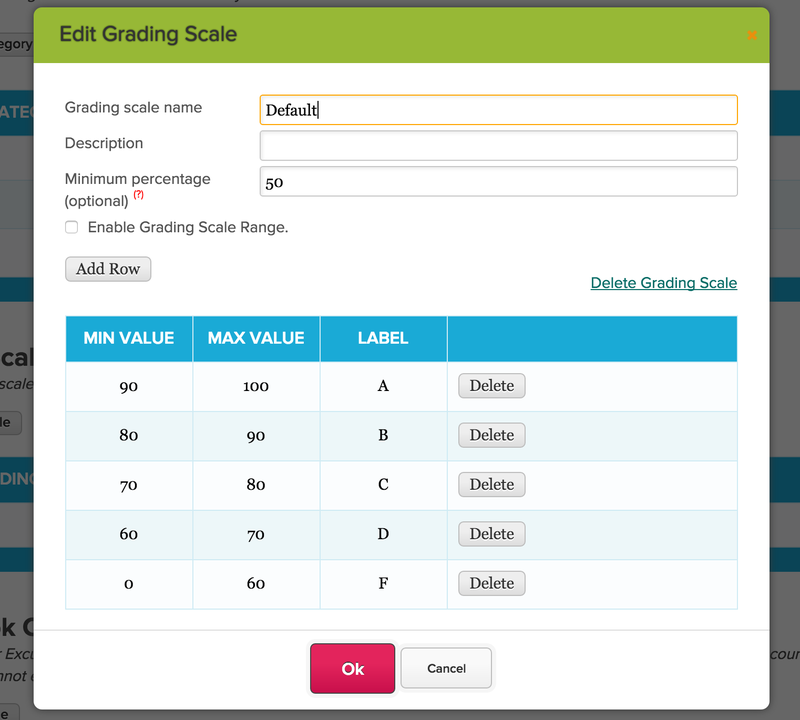 You can check the box labelled “Show scale score column” to view what the scaled value looks like on your Gradebook. Notice that calculated final scores are different. It’s now simply an equal average of all columns. Notice that when a student scores below 50%, the actual score being using is 50% of the assignment score. You can use this to set the minimum score when you use a Legend where a zero is applied. So for example, a “U” which stands for “Unexcused Absence” would typically be worth zero points. But when you use a Grading Scale where the Minimum Percentage has been set, the student will receive the minimum percentage set by the grading scale. IMPORTANT NOTE: If you’re using the Point Floor feature in your gradebook, you’ll need to use BOTH methods, as they are complementary to one another. The first method is for completed assignments, while the second method is for when a legend is applied. With these additional features for calculating final averages, teachers have much more flexibility to customize their grading formula. If you would like this enabled for your school, or have any questions on this or how to setup your calculations, please do feel free to contact us any time!